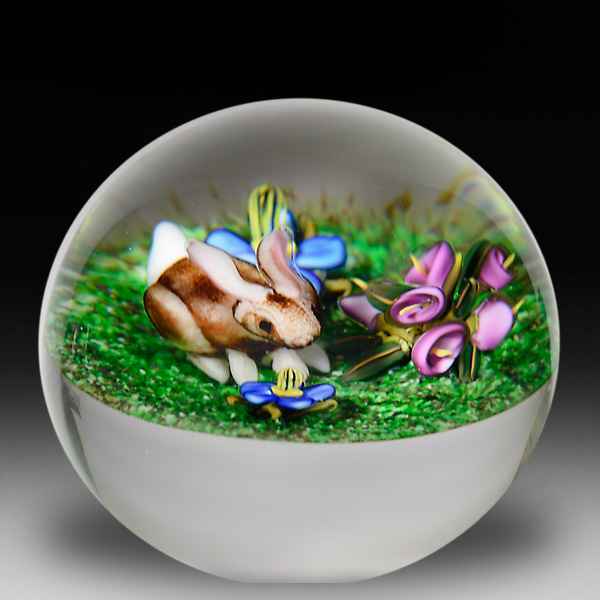 Ken Rosenfeld 2015 bunny rabbit and flowers petite paperweight. A little brown bunny, with a white cottontail, poises at the center of a pebbled mossy ground with blue and purple blossoms. Signature/date cane. Diameter 2 7/16".